The Belle II control room at the time of first collisions. 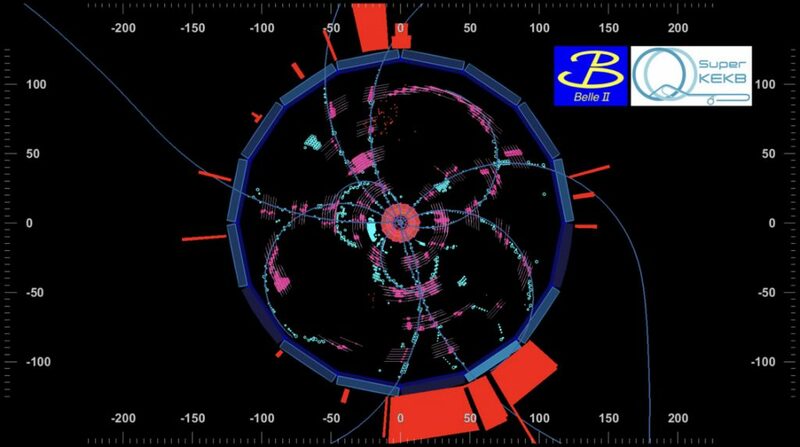 This is the first time that electrons and positrons have collided inside Belle II, after the pilot run which took place from March to July of 2018. Belle II and SuperKEKB are poised to become the world’s first Super B factory facility. SuperKEKB is designed to reach a luminosity 40 times larger than the current world record held by its predecessor KEKB. Belle II will perform a broad range of extremely high precision and fundamental measurements in flavor physics, particularly of properties of the bottom quark, charm quark, and tau lepton. In recent years, there has been a great deal of excitement worldwide about a number of intriguing hints of new physics in the decays of B mesons. Over the coming decade, Belle II will accumulate enough data to either confirm or rule out the existence of new physics in these decays. In addition, Belle II will carry out a number of unique searches for dark matter particles. The Italian contribution to the project has been and is crucial. The large luminosity increase of SuperKEKB is based on the technique of “nano-beams”, beams of nanometric vertical dimension, elaborated for the Italian super flavour factory SuperB by the LNF physicist Pantaleo Raimondi, former Director of the LNF Accelerator Division. 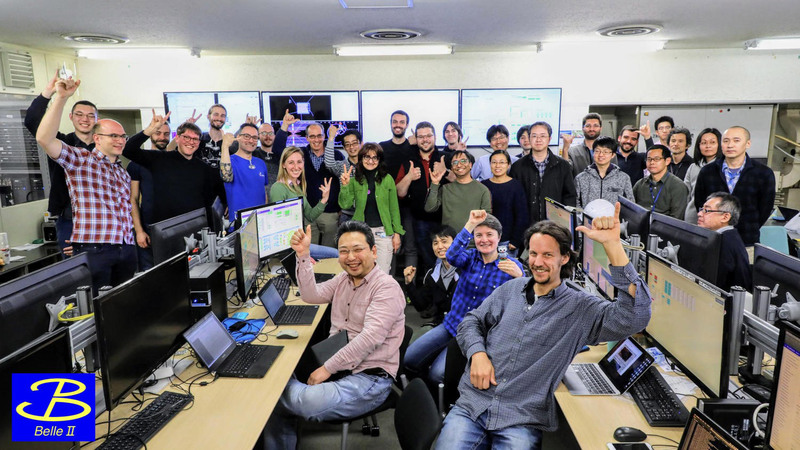 The Belle II detector at SuperKEKB was designed and constructed by an international collaboration of more than 750 researchers from 25 countries, to which Italy participates with over 70 scientists from 9 different INFN sections and laboratories. 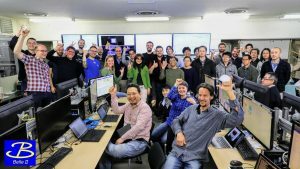 The Frascati National Laboratories team, together with the Roma 3 Section, realized the electronics of reading for the RPC detectors intended for the detection system of muons and K mesons. The first B – anti-B candidate event in the Belle II Phase 3 physics run.